You may receive updates from Katrina Dizon mariategue, the creator of this petition. Oakland-area man Chea Bou currently waits at a detention center in Texas to be deported to Cambodia, a country he fled as a refugee 35 years ago. If deported, he would leave behind a U.S. citizen wife and three U.S. citizen children, two of whom are minors. Chea arrived in the U.S. in 1980 at the age of eleven with his parents and five siblings after escaping the Khmer Rouge genocide. Because he witnessed multiple murders and acts of violence at a young age, he was later diagnosed with PTSD. In 2011, he got caught up in a federal investigation of a drug conspiracy case at his place of employment. He played a minor role, but took full responsibility for his crime and served his sentence of 12 months and one day. Unfortunately, this mistake was enough to trigger deportation proceedings against him, and on March 10, 2015, an immigration judge ordered his deportation. Chea Bou and his wife, Sambath, have been married almost 30 years. With her husband behind bars awaiting deportation, she alone has carried the burden of working to support her family. Just three years ago, the family was devastated when their 16-year-old son died from leukemia. Before passing, he wrote a letter to the Make-A-Wish Foundation, requesting that his father be kept safe from deportation. In 2006, another son was shot and killed while visiting family for a cousin’s birthday party. Despite all of these tragedies, Chea continues to live a very active faith life. He has been a member of the Church of Jesus Christ of Latter Day Saints since 1985, volunteering at events and donating money to support the local Cambodian community. Because of his past conviction, Chea remains in ICE custody and faces deportation despite having served his time. He is currently being detained in Haskell, TX, and because his family lives in Oakland, they have not been able to see him in over a year and a half. It is time to fight back against harmful policies that hurt refugee and immigrant communities. Tell ICE to "Stop separating families and FREE Chea!" 1. Sign this petition for Chea directed to Field Office Director, Simona Flores, asking her to use prosecutorial discretion to stop his deportation and release him from ICE custody. 2. Raise awareness on social media about Chea's case. Tweet about it and spread the word using hashtags #FreeChea and #Not1More. Speak out and tell us your stories! I write to you as a concerned community member regarding Chea Bou (A025 020 938), a long-time Oakland resident currently awaiting deportation. 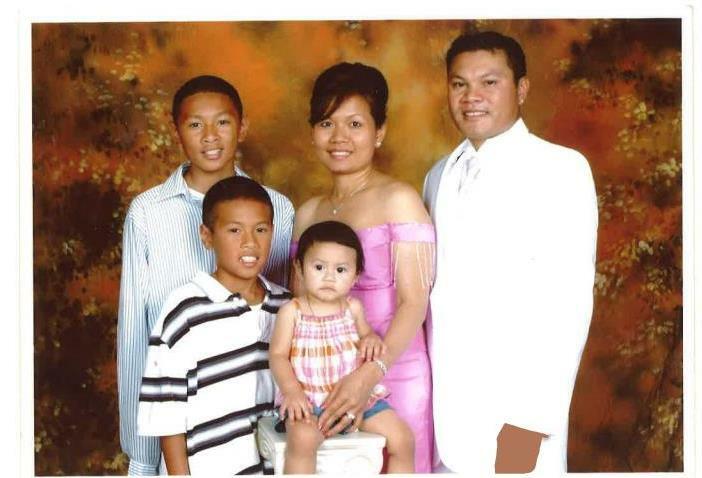 Chea is married to a U.S. citizen wife and is father to three U.S. citizen children, two of whom are minors. Chea arrived in the U.S. in 1980 at the age of eleven after fleeing the Khmer Rouge genocide. Because he witnessed multiple murders and acts of violence at a young age, he was later diagnosed with PTSD. In 2011, he got caught up in a federal investigation of a drug conspiracy case at his place of employment. He played a minor role, but took full responsibility for his crime and served his sentence of 12 months and one day. Unfortunately, this mistake was enough to trigger deportation proceedings against him, and on March 10, 2015, an immigration judge ordered his deportation. Chea Bou and his wife, Sambath, have been married almost 30 years. With her husband behind bars awaiting removal, she alone has carried the burden of working to support her family. Just three years ago, the family was devastated when their 16-year-old son died from leukemia. Before passing, he wrote a letter to the Make-A-Wish Foundation, requesting that his father be kept safe from deportation. In 2006, another son was shot and killed while visiting family for a cousin’s birthday party. Despite all of these tragedies, Chea continues to live a very active faith life. He has been a member of the Church of Jesus Christ of Latter Day Saints since 1985, volunteering at events and donating money to support the local Cambodian community. Because of his past conviction, Chea remains in ICE custody and awaits deportation despite having served his time. He is currently being detained in Haskell, TX, and because his family lives in Oakland, they have not been able to see him in over a year and a half. His family is devastated at the thought of losing him. Because of these circumstances, I ask that his deportation be stayed and he be released from ICE custody. He poses no risk to the community and seeks only to care for his loved ones.